The programme gave me experience in the medical technology field and I was able to show that I could adapt to a new area. The work experience was key and during the programme, you really start to appreciate how the experience you have can be applied in other areas. Tom Healy, Regulatory Affairs and Quality Assurance Manager at Vitalograph (Ireland) Ltd, talks about the value of supporting the QA/RA Internship Programme. Tom Healy, VitalographVitalograph is a world leading provider of outstanding quality cardio-respiratory diagnostic devices, clinical trials and medical equipment servicing. Our extensive respiratory range includes spirometers, peak flow meters, COPD screeners, asthma monitors, e-diaries, inhaler trainers and resuscitation devices. Three of last year’s quality engineering graduates joined County Clare based Vitalograph for their work placement. The graduates spent six months with us to see if they could put their learning into practice. Even though the three people came from very diverse backgrounds and had never considered the Medtech sector previously, they all progressed to the end of their placements and we now employ two of them, whilst the third is employed in Limerick. Vitalograph created a specific in-house programme for Irish Medtech Springboard graduates to give interns experience in raw material quality control inspection, final acceptance finished device inspection, internal system auditing, process auditing, document control, and the corrective and Preventive Action (CAPA) programme, including management of supplier quality. We aimed to bring people to a stage of being employable in the medical device sector in a number of key areas. The three interns adapted very well to the programme and brought a different perspective to the appraisal of quality processes. 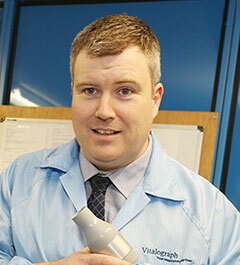 One of the participants, Dominic Devereux, is now a quality inspector with Vitalograph. 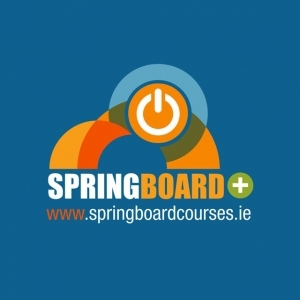 Prior to joining the Irish Medtech Springboard programme, he had accumulated 18 years of practical experience in computer manufacturing but had no experience in the medical technology field.